Hey, do you like Marvel comic books? And do you like TV shows? And do you like Netflix? Well, get ready to have your head explode. According to ScreenCrush.com, these four different 13-episode shows will each focus on a specific Marvel character, with the four characters combining in an Avengers-style event which will be The Defenders mini-series. 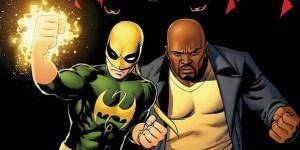 The four characters to anchor their own shows are: Daredevil, Jessica Jones, Iron Fist, and Luke Cage. Furthermore, these four different shows will not necessarily arrive all at the same time, with the Daredevil one first to arrive in 2015 followed by Jones, Fist, and Cage. This is exactly what Marvel was rumored to be working on a month ago, except at that time it was unknown which specific characters were involved and where the project might end up (network? syndication? streaming?). What this means for the rumored series centered around Peggy Carter from Captain America is unclear. This is a colossal commitment on Netflix’ part, agreeing to a minimum of 52 episodes with a follow-up mini-series. However, the project carries with it such risk and ambition that it seems unlikely it could happen anywhere else but Netflix, as traditional distribution methods were probably too risk-averse. Heck, with the recent ratings of Agents of SHIELD Marvel is a little lucky that ABC gave that show at least 22 episodes. Background: Daredevil is unquestionably the most well-known of the bunch if only because he’s the only one who has been adapted into a live-action film. Real name Matt Murdock, his origin story involves exposure to a radioactive substance which robs him of his eyesight but also heightens his other senses to superhuman levels. To seek vengeance for the death of his father, he becomes the vigilante hero Daredevil, donning a signature red costume and using his walking cane as a secret billy club. Although blind, he is able to use his extra senses to maneuver much as a person with normal eyesight would. As depicted in the Ben Affleck film, two of his main villains are Bullseye and Kingpin, and his primary love interest is Elektra, although he also has an extended history with Black Widow. 20th Century Fox owned the film rights to the character, but they reverted back to Marvel after Fox failed to get a reboot or sequel into production by October of last year. 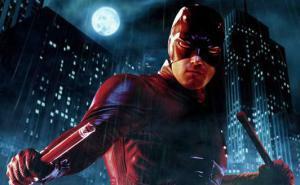 Until now, it was unclear what Marvel planned to do with Daredevil now that he was their’s to use in film or TV again. Background: This marks Jessica’s first foray into the mainstream after having been a comic book-only character for over a decade. Her origin story involves gaining superpowers like super-strength and flight via radioactive chemical exposure during a car crash, but having to deal with survivor’s guilt since that same crash claimed the lives of her family members. At that time, she was still a teenager in highschool, attending the same school as Peter “Spider-Man” Parker. Inspired by Spider-Man, she sets out on a superhero career of her own. Then things got dark fast as she was psychologically tortured and mind-controlled by a Darededevil villain named Killgrave. From that point forward, her story involves brief stays as a private investigator and then as a journalist alongside Peter Parker at the Daily Bugle. She eventually marries Luke Cage, takes on the super hero name Power Woman (since Luke’s is Power Man), and the two have a daughter together. A close friend of her’s is Carol Danvers, aka, Ms. Marvel, aka, the character Battlestar Galactica alum Katee Sackhoff was supposedly talking to Marvel about playing. Could Sackhoff have actually been talking to Marvel about playing Jones? A TV show centered around Jessica Jones had been in development at ABC since 2010. 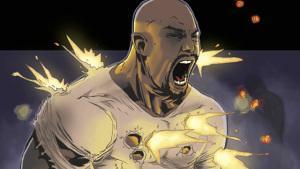 Background: Luke Cage, Hero for Hire was one of the first Marvel comic books to star an African American superhero. Real name Carl Lucas, his origin story involves being imprisoned as a young man for a crime he didn’t commit. In exchange for parole, he agreed to participate in experiments designed to help cure illnesses but instead granted Lucas bulletproof skin and extra strength. He broke out of prison, adopted the monicker Luke Cage, and made himself available as a superhero available for hire. Sales of the comic weren’t great, even after Marvel gave Cage a more traditional comic book hero name, Power Man. Sales improved when they combined Cage with another low-selling kung fu comic and thus was born Power Man and Iron Fist. 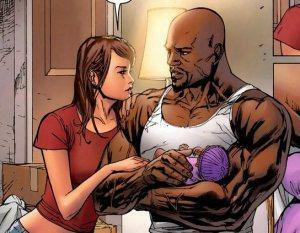 As noted above, in the comics Cage has married Jessica Jones and the two have a daughter together. A film centered around Luke Cage was put in development at Columbia Pictures in 2003, with John Singleton eventually attached to direct and various actors rumored to star. The rights reverted back to Marvel this year…or at least that’s when Marvel officially acknowledged they had. As a result, many had erroneously speculated that J. August Richards’ character in the pilot for Agents of S.H.I.E.L.D. would turn out to be Luke Cage. Incidentally, the actor Nic Cage took his last name Cage directly from Luke Cage, as Nic’s real last name is Coppola and he adopted the stage name to avoid charges of nepotism since his uncle is director Francis Ford Coppola. Background: Real name Daniel Rand, Iron Fist’s origin involves losing his father and mother at the age of 9 due to the treachery of a trusted family friend while they were on an expedition to find a mystical city named K’un L’un. Rand’s father had previously found the city and become an adopted son of the leader. The people of the city take young Daniel in, and help him harness his thirst for vengeance into intense martial arts training. You know how these things go – the years pass by, the boy becomes a man, Rand fights a dragon and plunges his fist into the dragon’s molten heart to earn the title Iron Fist. Tale as old as time, right? Once Rand leaves as the hero Iron First, he eventually partnered with Cage until dying tragically 6 years later. Iron Fist was revived a decade later and has been a regular character in the comics. He has pretended to be Daredevil at one point to help exonerate Matt Murdock, and he has deal with the long line of prior martial arts masters to earn the title Iron Fist. A feature film had been in production since 2000, with Ray Park set to star and Kirk Wong to direct. Multiple times a release date was announced only to be pushed back due to troubles with the development process. So, if the comics mean anything these characters are connected because a Daredevil villain brainwashes and tortures Jones, who gets over that and eventually falls in love with Luke Cage, who has long-standing partnership as a hero for hire with Iron Fist who helps Matt Murdock out when people deduce that he might be Daredevil. Yahtzee! I did it. Background: Basically, this was The Avengers or Justice League for the odd-ball, loner type Marvel heroes who didn’t as neatly fit in on other teams. The original team was founded by Doctor Strange, Hulk, and Namor and featured a rotating cast of recurring and temporary team members like Hawkeye, The Silver Surfer, Luke Cage, and Daredevil. Since that time, Marvel has re-branded the book multiple times and added/subtracted team members. Iron Fist has been added, although Power Woman never has. So, Fox had been developing a Daredevil re-boot in the form of ordering various script treatments before losing the rights back to Marvel. ABC had been trying to get a Jessica Jones TV show up and running for years. Columbia Pictures had worked on a Luke Cage film for a decade, and Marvel on an Iron First movie for even longer. That’s likely a combined millions of dollars invested in development of these characters that has so far not paid off. This partnership with Netflix is a creative method of cutting losses while also answering the call for more female/not-white heroes, although those calls are usually specific to film and not TV. In a way, it’s like Marvel looked at how Arrested Development attempted to structure its Netflix-exclusive season around focusing on specific characters per episode and taking that to an extreme, focusing on individual characters across 13 episodes before combining them together in the end. One imagines that there will be a lot of cross-cutting, though, with Jessica Jones perhaps crossing over to Luke Cage’s set of episodes or vice versa. This is a format which seems perfectly tailored to the binge-watching friendly Netflix. There is the Agents of S.H.I.E.L.D. elephant in the room, though, whereby we have to remind ourselves that when it comes to live-action TV shows Marvel’s track record is not great, even when they get king of the nerds Joss Whedon involved. However, the level of freedom granted a partnership with Netflix would seem to provide them with more artistic leeway, as viewers won’t likely be burdened with “I wonder if the network stopped them from doing xyz” as there is with S.H.I.E.L.D. However, how on Earth is Netflix able to afford this? Who are the artistic talent involved? What does this mean for the rumored series centered around Peggy Carter from Captain America? And is D.C. at all nervous? We won’t have any answers for a while. Let us know what you think in the comments section.